When you take a kayak tour with Adventure Kayak Outfitters along Sarasota’s Lido Key, you’re taking a little kayak in paradise. Sarasota is world famous for its Siesta Key Beach, but along the Gulf of Mexico is this hidden treasure called Lido Key, a beautiful little estuary in Sarasota Bay, which is home to many different types of wildlife, and we are proud to show it all off on our kayak tours. Sarasota Bay is located between the keys (or barrier islands) which separate the Gulf of Mexico from the mainland of Florida, making it so popular for guided kayak tours. This is mainly due to the marine life that lives here and the many mangrove islands which protect it. 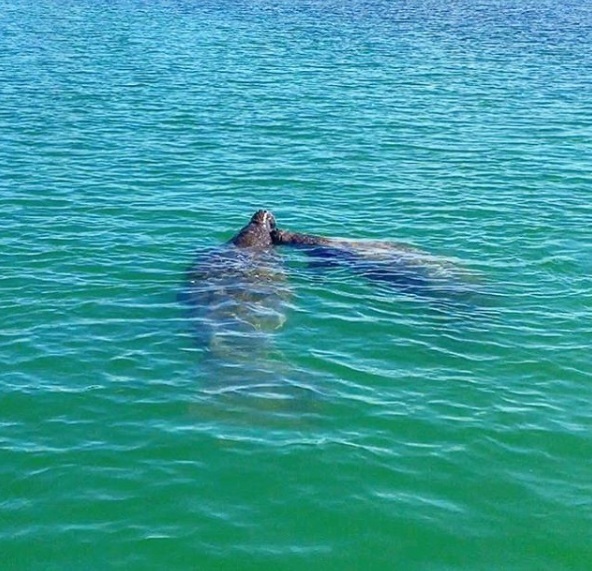 In the local ecosystem you can find dolphins breaching, and manatees; that not only enjoy the shallow water and canal systems, but enjoy eating the sea grass the shallow water provides. In addition to the manatees and dolphins, there are plenty of native birds such as pelicans, herons, egrets, osprey, roseate spoonbills, hawks and bald eagles. You can often see snook, sheepshead, pufferfish, sea stars and many other fish which these birds feed upon too. Once you head into the protective and exotic mangrove tunnels, a whole other world awaits. It’s quiet and filled with nature at the same time. The shallow waters are filled with crabs, as well as crabs crawling upon the mangrove branches; there are fish and snails in the water too. It’s a learning experience for sure. Our experienced native Floridian guides will fill you in on all there is to see and learn about. By the time you’re done, you will become well acquainted with the creatures that call this ecosystem home! The original Adventure Kayak Outfitters launch location on Lido Key in Sarasota is just minutes from Siesta Key, Longboat Key, Anna Maria Island, Bradenton, Lakewood Ranch, and Venice. Book your tour today, and don’t forget your camera!